This week’s episode of The Flash, titled “Memorabilia,” teaches us that memories are not reliable. In yet another frustrating turn of events, Barry’s idea to reach Cicada by awakening his niece Grace from her coma goes predictably wrong, and the consequences could be dire in this timeline and in the future. 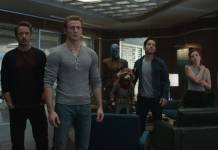 Sherloque (Tom Cavanagh) has determined that the best way to wake Grace (Islie Hirvonen) from her coma is through the use of a memory machine that he somehow acquired from Earth 221. He explains that with this machine, they can access Grace’s consciousness and lead her back through a neural portal. He says it’s important to go in with a partner because it is dangerous – if someone gets stuck in another’s memories or dies there, they could die in real life as well. Sherloque also explains that he could also access his partner’s memories – he learned that his partner was sleeping with his fourth wife. This is particularly troublesome for Nora because she does not want anyone to access her memories and learn her big Reverse Flash secret. Of course, Sherloque elects the two speedsters to take the perilous journey. Not only for their speed, but to get access to Nora’s memories and solve the great mystery of what she is trying to hide. So, Nora being Nora, decides to go into Grace’s consciousness alone, figuring she could wake her from her coma before anyone notices. Bad idea. The portal opens in Grace’s memories of CCPD on the night her parents died. All she wants to do is see her Uncle Orlin. Before Nora can get Grace to go with her, the portal closes and Nora is trapped in Grace’s memories. While Nora is recklessly going it alone to protect her secret, Barry and Iris are at home. Iris just got off the phone with a lawyer who was advising her about turning her blog into a newspaper. The only title available to use is ‘Central City Citizen,’ which Iris quickly turns down because that is the title of the paper from the future with the infamous headline and story about the Flash disappearing. 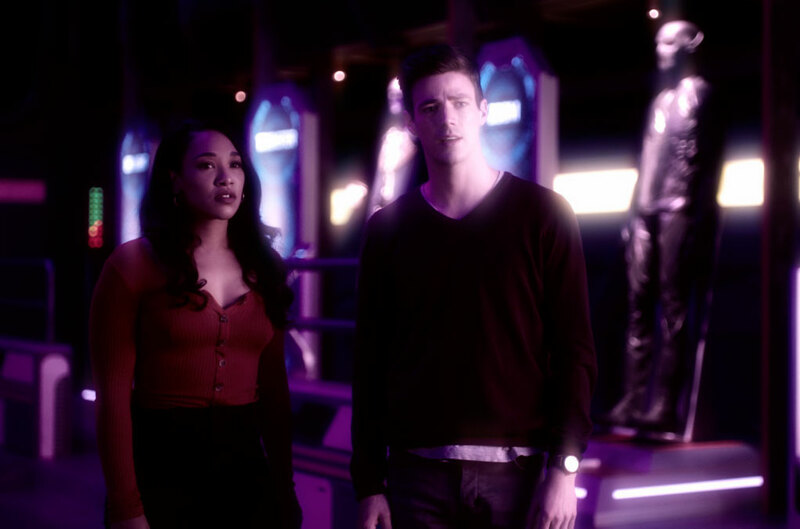 Iris does not tell Barry because this is where they learn that Nora was using the memory machine alone. Barry and Iris go to S.T.A.R. Labs and decide to both go into Grace’s consciousness to retrieve Nora and Grace. But instead of landing in Grace’s memories, they land in Nora’s. She is in CCPD at about the same age as Grace, having run away from Iris. The Iris of Nora’s memories shows up and yells at Nora for running away, breaking her Flash action figure and grabbing her roughly before heading home. Iris and Barry watch and Iris is appalled at the mother she turns out to be. She tells Barry about her lawyer’s call and said that she is trying to change the future by not starting the newspaper, and trying to change the parent she will become to Nora but it’s no use. 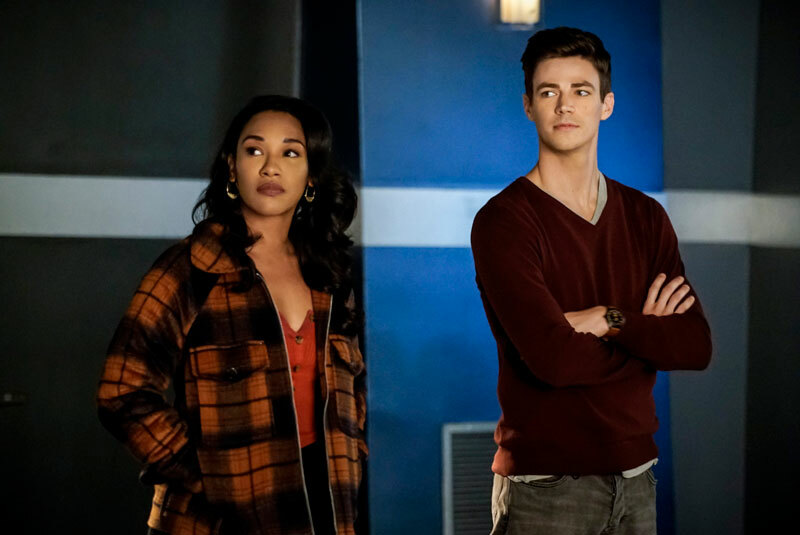 Barry tries to reassure Iris that she can change the future, and as they go off in search of a portal to get to Nora, they are being watched by the museum’s creepy and empty Reverse Flash costume. In the meantime, Nora is still trying to find a portal. Grace takes her to her memories of Orlin’s house where he is just a nice guy cooking a gigantic breakfast. There is an enormous doll house in the corner. Nora then asks Grace to take her to the last place she remembers and Grace brings her to her hospital bed, where she hears Orlin talking about Nora being Flash’s daughter and wanting to kill all the metas. Grace was not conscious at the time but she was listening. She figures out that Nora has been lying to her – Nora is a meta, and the one who hurt her uncle. Since Orlin hates metas, Grace does too. Grace’s consciousness sends a defense mechanism to kill Nora. Her defense mechanism takes the form of Cicada with long blond hair. Does this mean that the Cicada who resurfaces in 2024 is actually Grace? Using the cerebral inhibitor that Harry Wells created to use against the Thinker and then modified to share thoughts with his daughter in Season 4, Caitlin and Sherloque are able to tell Barry and Nora that the way to find a portal to get home is to find perception gaps in the memories. For Grace, the gap is in her idealized vision of Orlin’s house, with the ginormous breakfast and beautiful doll house. Nora knows it’s not a real memory but one colored by Grace’s perception of her loving uncle. Barry realizes that their portal would be found in Nora’s memory of an angry Iris berating her wayward daughter – that’s not the real Iris but just the way a hurt and angry daughter would remember her. Barry and Iris still have to deal with Nora’s Reverse Flash defense mechanism. Reverse Flash pins Barry saying that he will be defeated by death and another broken family, but Iris uses the museum’s Thinker chair to zap Reverse Flash and leap into the portal into Grace’s thoughts. There, Barry rescues Nora from the female Cicada. 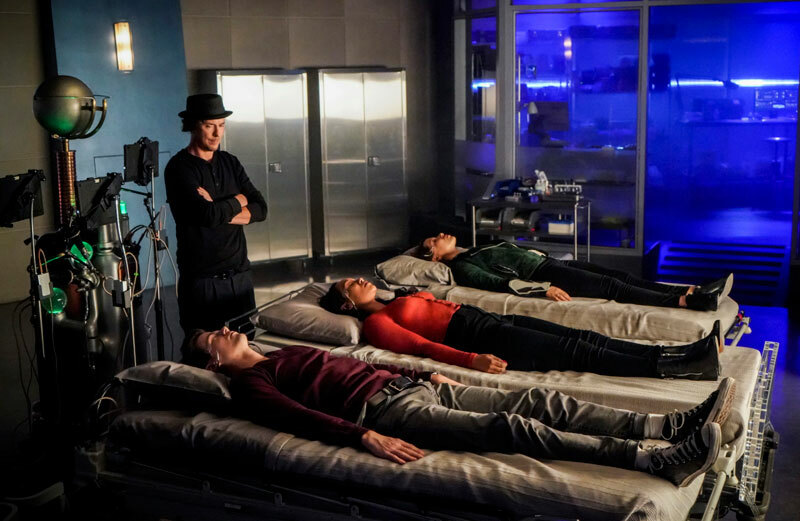 Nora tells Barry that Grace will not be coming with them, so Barry, Iris, and Nora go through the portal without waking Grace up from her coma. It seems like the only thing they woke up in Grace was her hatred. To add to their failure, they cannot try again because Caitlin has learned that there is a lining of dark matter around Grace’s brain. 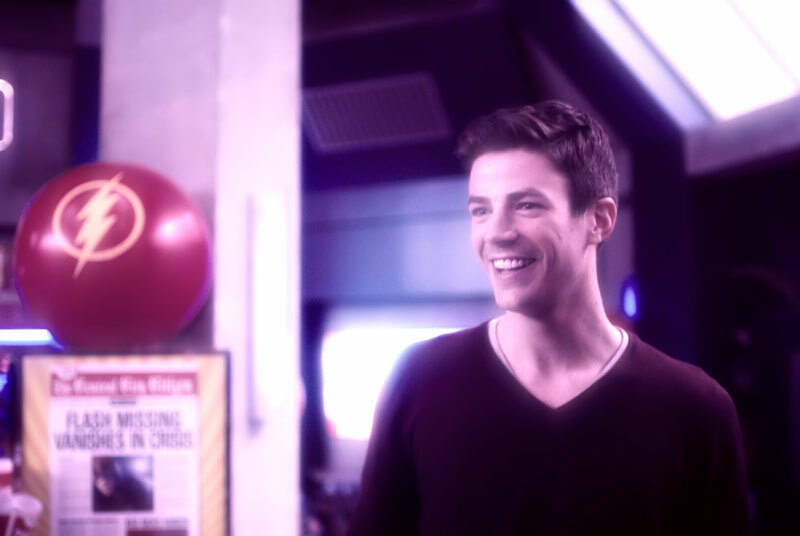 When all was over, Barry questions Nora about why she decided to go into Grace’s consciousness alone. Nora can’t come up with a good answer but Sherloque suggests that she is hiding a secret… her angry, painful memories of her mother. When they are alone, Sherloque asks Barry what form did Nora’s defense mechanism take, and Barry says it was Reverse Flash. Sherloque is on to her, even if the rest of the team is oblivious. And then we see Nora back in the vault, again sending a message to Thawne: she will do anything to protect her parents, even if it means lying. Ralph tricks Cisco into a night out under the pretense of investigating a lead on Cicada. They go to a bar where the lead turns out to be about a band, not the criminal. 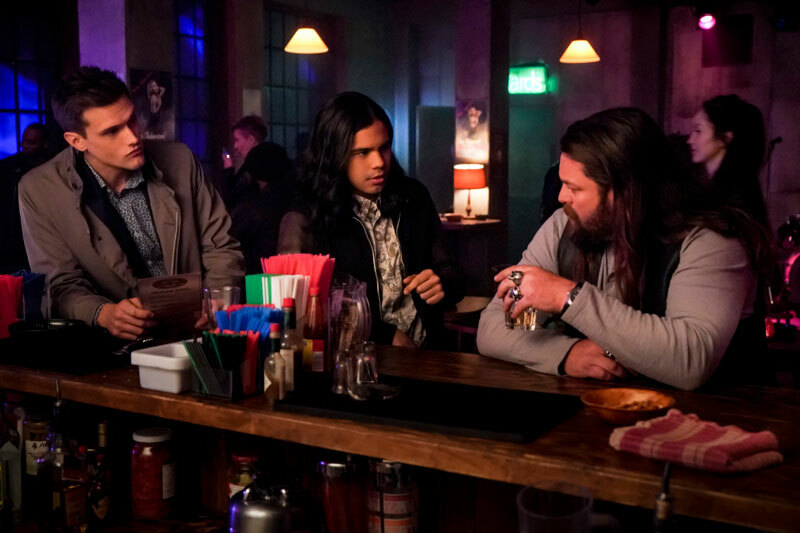 But Cisco makes a new friend of the pretty bartender and figures out a way to finish his metahuman cure. Barry comes up with another (bad) idea – to use the cure on Cicada. I love that they played with the idea that Grace is an innocent victim. Adults always assume that children are manipulated pawns of the adults around them and battered by circumstances. Grace’s parents were killed by a meta, so she hates metas. And she has dark matter in her, so she may be more like her uncle than the team could have guessed. The way Grace vowed that Nora would pay for lying and that they all would pay, made her seem more like a Bad Seed than an innocent victim. That makes for a more interesting character. The shout out to the Red Death – It feels like the CW is mentioning more and more Batman-related characters as a welcome to the upcoming Batwoman series. I can’t wait. Iris starting the ‘Central City Citizen’ – Iris is going back to being a newspaper reporter in a big way. Hopefully this will sharpen her investigative skills and she will finally get past her mom self and look at the incongruities of Nora’s stories. I don’t understand why neither she nor Barry are questioning the presence of Reverse Flash as Nora’s mind protector. On the lighter side, I loved the scene in the beginning of the episode in the skating rink. For no other reason than to see the team having fun skating. Especially Tom Cavanagh, who played a gay hockey player in the 2007 film, Breakfast with Scot. It is starting to feel like the team is making little to no progress on the Cicada problem. Going into Grace’s brain was a bad idea. I think creating a metahuman ‘cure’ is a bad idea, and from the look of next week’s preview, attempting to use the cure on Cicada feels like a bad idea. The preview for the episode entitled Goldfaced (watch below) has Barry and the team stepping outside of the law to acquire the tools they need to stop Cicada. I would really like to see a team discussion where they try to figure out what could go wrong before diving in headfirst into a new plan. What do you think? Next articleWatch the Hanna Super Bowl Spot!